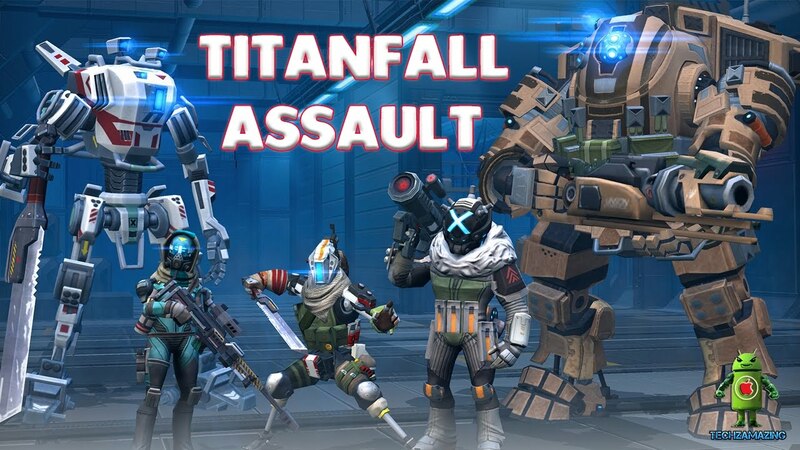 It isn’t easy to categorize Titanfall: Assault, as developer Nexon M combines elements of first person shooters, collectible cards and MOBA. That’s a tall order but the game manages to pull it off. There is a lot of action here, but it also puts emphasis on strategy too, so if you’re looking for a combination of the two this is for you. If you have played mobile MOBA or collectible card game, the controls will be familiar. You have a card deck that symbolizes Pilots and Titans and you use your cards in the battlefield, and each one comes with a preset action that will help you take out enemies. Each match lasts about 4 minutes, and you cannot use the Titans during the first minute. This means you’ll need to rely on the pilot, but it isn’t really a big deal since your opponents can’t use their Titans either. Things kick up once you’re allowed to utilize the Titans though, you’ll also benefit from proper use of hard points during the game. Titans are only specific types of units that can handle hold hard points so you’ll need to consider this first. The more victories you earn the more rewards you’ll get, but there’s only a limited time you use these. There are also different types of cards that you can use, and you can get duplicates and use credits – the currency – to increase the cards’ powers and gain an advantage in the battlefield. Titanfall: Assault has a lot to offer, but the game is well laid out and the controls make it easy to get into the game.